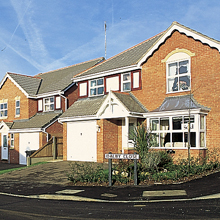 The conventional builder option approach involves the payment to the landowner of an option fee upon committing to a fixed term option, the builder then covering all promotion costs, however having a right to purchase the land at 'market value' upon being successful in obtaining planning consent. On the face of it this may seem an attractive proposition giving the landowner the opportunity to realise a figure, which is many times the agricultural value of the land without incurring any costs or risk. As part of the process of gaining approval, concessions are increasingly having to be made to planners' demands for planning gain (schools, social housing, community centres etc.) There is no incentive for the builder/developer to minimise these concessions which come out of the land value so the landowner pays. ORS on the other hand works hard to maximise the value of the planning consent since our reward essentially comes from sale proceeds of the land when it is sold. Every item of planning gain sought is considered against national policy and the test of reasonableness. Whilst in pursuit of the common goal of achieving approval, the builder has been on the same side as the landowner trying to obtain consent for residential or other forms of use, however, once this is achieved the builder and the landowner start to pull in opposite directions. The landowner wants to sell at the highest possible price but can only sell to one party - the builder with whom he has agreed an option, aims to buy at the lowest possible price. Although eventually they may agree somewhere in the middle or the whole matter could go to arbitration which is costly and uncertain as to the outcome, invariably the landowner will not realise the full land value as the land sale is not tested in the open market. 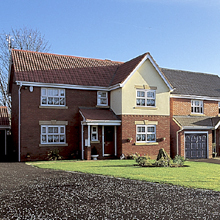 With our approach, once we have obtained planning permission we remain true partners with the landowner. We share a common interest in that we both wish to see the site sold for the highest possible figure. Our approach is particularly attractive to landowners who are obliged (as Trustees or Charities) to ensure that assets are not undersold. 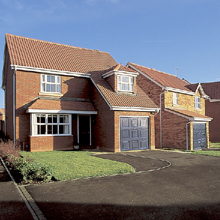 Under most builder options the land is purchased by the builder as soon as planning consent is achieved, however, market conditions might not be favourable or the timing not ideal for the landowner (e.g. for tax planning or tenancy reasons). ORS, on the other hand, is prepared to wait for favourable market conditions and sell when it suits the landowner within the life of an outline planning consent.